When lifting heavy loads on floating cranes, safety is crucial and thus one of the biggest challenges for ship crane operators. 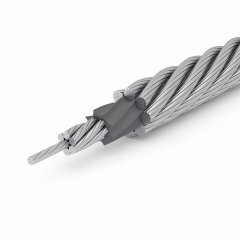 Whether in ports or offshore areas, TEUFELBERGER's high performance steel wire ropes help you achieve maximum efficiency. In addition to their perfected construction manufactured in tested and tried production processes, the plastic impregnated PLASTFILL® steel core is key in achieving the necessary high performance for a variety of technical parameters. This is one of the key factors which ensures the exceptional lifetime of these ropes. Our ropes have been used successfully for years to lift heavy loads aboard ships around the globe. Depending on the specific needs of customers, these constructions are available as galvanized or bright versions. 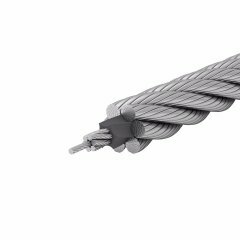 TEUFELBERGER offers 6 and 8-strand high performance steel wire ropes that excel on all common heavy lift cranes. The boom hoist ropes feature exceptionally high breaking forces, but also excellent wear resistance that is achieved with the highly compacted outer strands. For this purpose, we use SUPERFILL® compaction technology that helps us produce constant diameters with only minimal variations throughout the entire length of a rope. With TEUFELBERGER high performance steel wire ropes, nothing will keep you from enjoying the trouble-free and safe operation of your cranes.